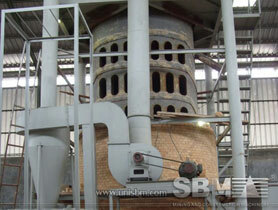 In the marble grinding industry, SBM Machinery is the most famous one. We can supply the complete set of grinding plant for marble powder production. SBM has been providing grinding plant since 1987 and pioneered the development of grinding technology, including our ladder-shaped roller and ring system. SBM provides several types of mill as marble grinding machine, such as ball mill, Raymond mill, trapezium mill and vertical mill. According to the requirements of fineness and capacity, choose the right grinding machine. Our ball mills and vertical roller mills efficiently and reliably grind marble to the clients’ fineness requirements. SBM has built marble powder manufacturing plant in Spain, France, Germany Malaysia, China, India, Pakistan, Iran, Nigeria, South Africa, and Ethiopia. These marble grinding mill can produce 100 mesh and 250 mesh powder by grinding crushed marble stone. "The marble grinding mill, marble powder production plant supplied by SBM Machinery is widely used in Asia, Africa, Europe etc."